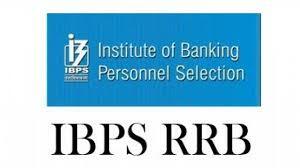 IBPS RRB Admit Card 2018 link is opened on 26th July 2018. For the IBPS RRB PO, Clerk Posts 2018 Prelims on 11, 12, 18 August 2018 and 19, 25 August & 01 September 2018, this IBPS Admit Card is compulsory. Exam Holders, should download these IBPS CWE -VII Prelims Call Letter from our page. Here we are giving you the exact IBPS Admit Card 2018 log in page so the applicants in less than a minute can save the prelims call letter. If taking print out the admit card is not possible for you initially, then at least save the admit card. In last days, the servers might be very busy. IBPS RRB Mains Admit Card Out !! Job hopeful candidates are preparing for the IBPS RRB PO and Clerk Exams which are in the coming month of August 2018. So to sit in that exam, the most primary document is this IBPS Admit Card 2018. Attaining the exam admit card is achieving the chance for appearing the exam. If you don’t get the admit card, then you cannot appear in the examination without any doubt. IBPS board officials are making the plans to upload the IBPS RRB Admit Card 2018 for all the valid applicants. Some people may not get the admit card due to errors in the application form. From this site, also check the Latest Employment News. For the IBPS Officer Scale -I, the prelims exam date is confirmed to be on 11, 12, 18th August 2018. Then IBPS will gain the confirmation of exam date and venue of the examination through the IBPS Officer Scale-I Admit Card. In that admit card, the details like exact date and time of the examination, venue of the exam, reporting time at the exam centre etc. Before attending the exam, one must has to aware about all these details. Otherwise, they have to face the difficulties in writing the examination. So it is compulsory rule that every IBPS exam applicant must hold the IBPS RRB PO Admit Card with them while going to the exam hall. During the reporting time at the exam centre, applicants has to get confirmed all the details printed on the IBPS Admit Card like full name of the candidates, photo and signature. In IBPS Regional Rural Banks, the Office Assistant (Multi purpose Posts) is the clerical cadre posts. So don’t get confuse with both names. Along with Officer Scale -I posts, here the link of IBPS RRB Office Assistant Admit Card will also be updated. For these Office Assistant (Multi purpose Posts) posts, prelims exam dates are 19, 25 August And 01 September 2018. Hence IBPS RRB Admit Card for these Clerk cadre posts may be available in the first or second week of August 2018. Don’t forget to catch up the IBPS RRB Clerk Admit Card in the mentioned dates. Admit Card link will not available for many days, applicants can able to download the call letter till the date of exam only. So remember this date and download the admit card immediately on that admit card release date. Confirmed IBPS RRB Exam Dates are from the 11th August to 1st Sep 2018. In between these dates on different schedules PO, Clerk exams are going to be conducted in online. Mostly all the candidates are become strong in their preparation and now are in the revision purpose. Only 1 month is there for the first date of exam, so candidates has to invest all their time in the syllabus preparation not in the searching of the IBPS RRB Admit Card. Even if you are worried about the admit card, then simply add this page into your bookmark list. Here we will place every update from IBPS so that it will be easy to check the status of the IBPS Admit Card whenever you are having the free time.